You may be considering moving out of your home for university. There are many accommodation options in and around London which we have carefully selected and are recommending that are within walking distance to our London Campus. 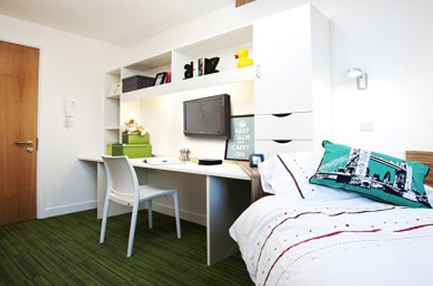 The London Campus has selected a range of halls of residence for you to choose from which are listed below. If you do decide to select this option of accommodation, don’t forget to book directly with the accommodation provider. Each provider is responsible for managing your tenancy agreement. To get a further insight on what it is like to live in rented accommodation, you may want to read our blog post.